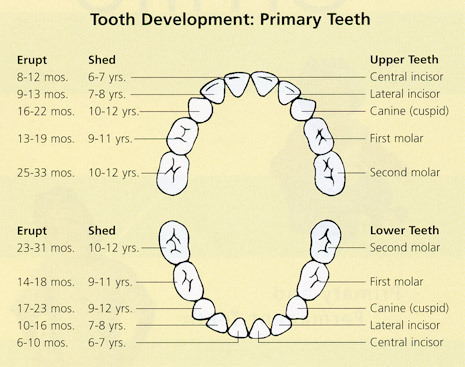 Why are My Teeth Important? Your teeth are important for a variety of reasons - they help you cut food up, they hold your tongue in your mouth and they can make you look beautiful when you smile! But have you ever wondered why they are different shapes and sizes? Enamel is the outer layer of the tooth. It consists of a strong dense, white protective coating. Dentin is the middle part of the tooth that is yellow in color and is softer than the enamel. 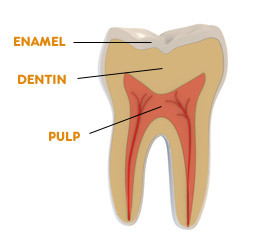 Pulp is the center of the tooth and supplies blood and contains the nerve. Incisors are the teeth in front of the mouth, closest to the lips. They bite into food and cut it. Cuspids (canines) are located next to the incisors. They rip and tear food. 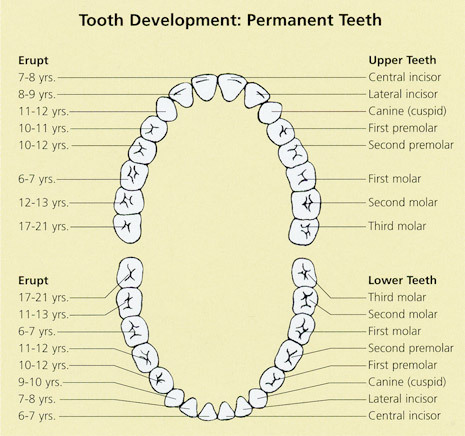 Molars are the teeth in the back of your mouth. They are the closest to the throat and they grind and crush food.